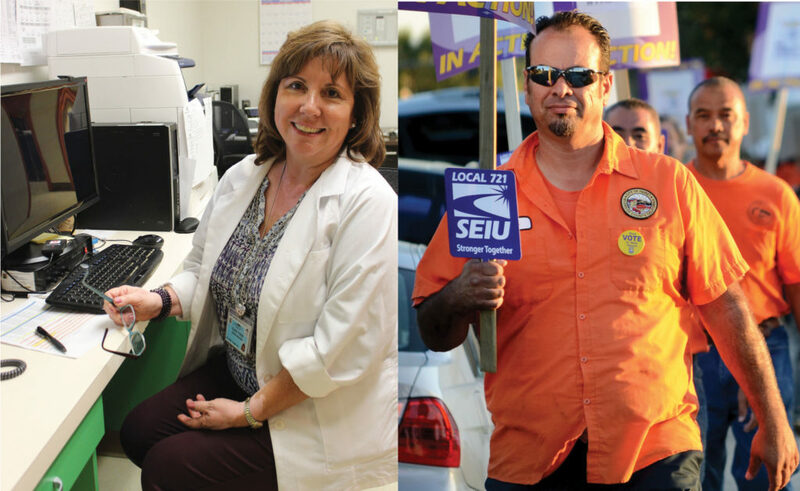 SEIU 721 Associate Membership supports our win-win vision for the public good, the public sector, and public policy. Together, our united voice has championed strong public services, safer neighborhoods, a cleaner environment, and lifted millions of California’s working families out of poverty. But right now, our hard-fought victories are under attack by greedy corporations and anti-worker politicians who aim to silence our collective voice. Defending all we’ve fought for and won requires grassroots organizing, advocacy, and action. Your support gives us the power to fight back. Associate Members have access to our robust SEIU Member Benefits Program, which includes discounts on travel, life insurance, loans, and credit cards. Our program also includes savings on popular brands and services. Please Note: Associate Membership is intended for members of the Community who are not dues paying, represented members of SEIU 721. If you are already a SEIU 721 Member or Fee Payer Click here to fill out your membership card! Thank you for standing for quality services and stronger communities! For more information, please call our SEIU 721 Member Connection at 1-877-721-4968.